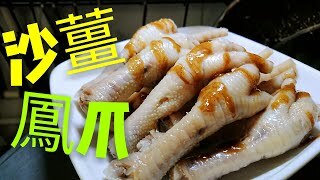 As strange as this dish might sound, it is a common sight for dim sum. 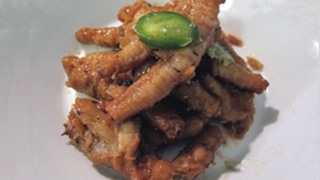 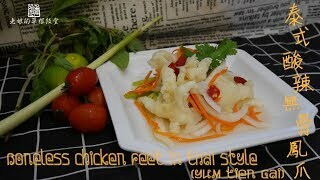 The edible part of the chicken feet is composed almost entirely of skin and tendon with very little, if any, meat. 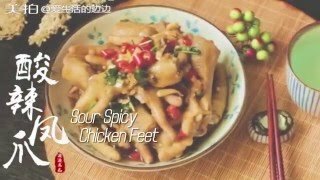 The name in Chinese means "Phoenix Claws", which should make some sense if you use your imagination. 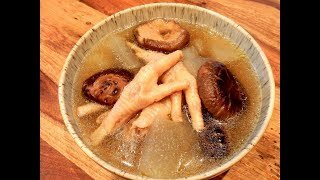 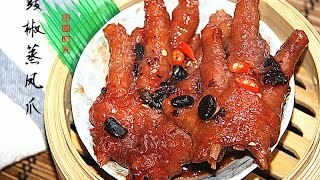 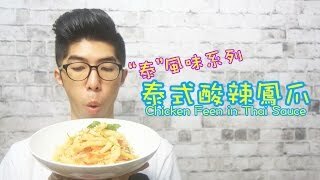 Typically found in a sauce flavored with black beans and bean paste, the skin is very tender and a properly prepared chicken feet will have the skin separate from the bone very easily.